Nocturnal drops in 3 days. Check out the cover art. I personally love it. This is modeled by the one and only Pax Jude. He was on the cover of Heart Wings and Life Tonight, which are my previous two all-original releases. Technically, those two projects were the only ones prior to Nocturnal that were officially released on iTunes and Spotify and stuff as my other albums, The SLO Life and Triple Play were released via my website for download. How times have changed, right? Downloading an mp3 haha wow when is the last time you did that? Anyway, now all my stuff is on all platforms for you to listen to, but back to the point, technically Pax has always been on the cover of my official releases and so the tradition continues. 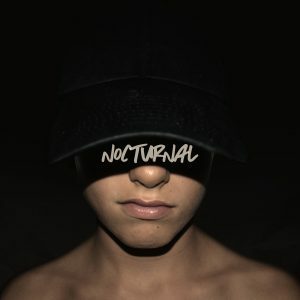 More on the meaning of this cover art later – I’ll do a post on the overall meaning of the album Nocturnal and a background on each of the tracks after you get a chance to listen to them. 3 days!! !